Today we continue our Dark Kitchen exploration of food and eating in times of collapse. For our latest course in the series Charlotte McGuinn Freeman weighs up the ethics of hunting wild game and 'eating where she lives' in her home in Montana. 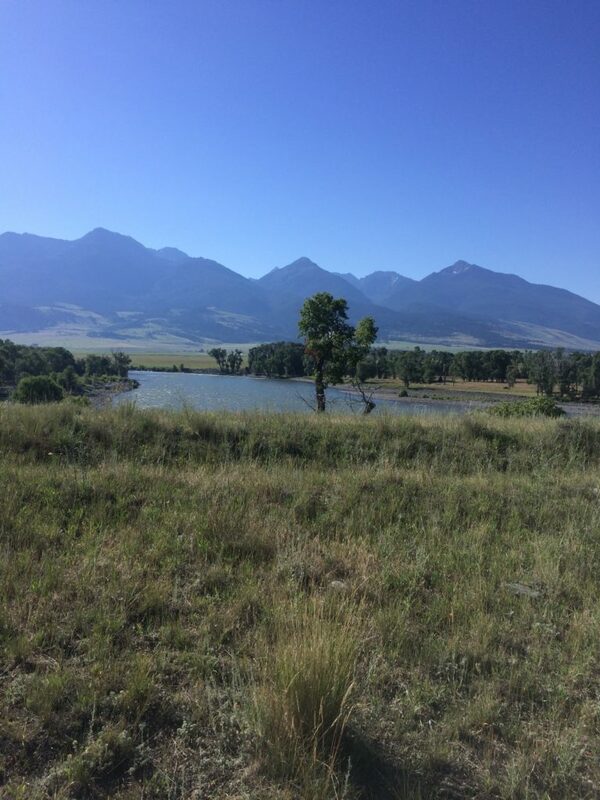 ParadiseValley: The Yellowstone River is the heart of the Paradise Valley. In the distance, Emigrant Peak guards the western edge of the 944,000 acre Absaroka-Beartooth wilderness area. The wilderness area and Yellowstone National Park to the south form summer range for the northern Yellowstone elk herd, who numbered nearly 8000 head as of the spring 2018 count. The valley floor is a mixture of ranches and small acreage homesites, with public fishing access sites. Charlotte McGuinn Freeman makes her home in Livingston, Montana. 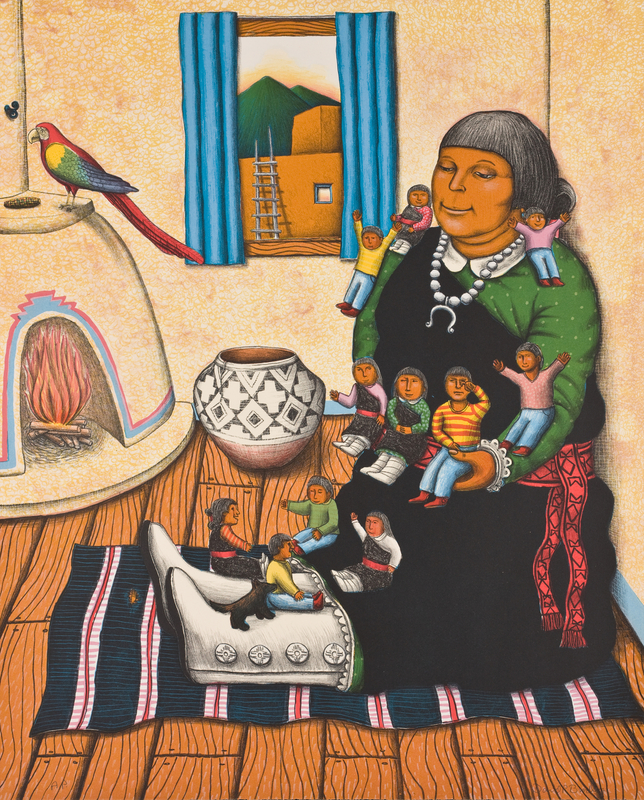 She’s a graduate of the University of Utah PhD program, the author of Place Last Seen. 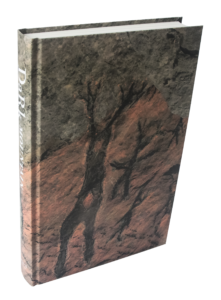 She's published in anthologies including the Montana Quarterly, Big Sky Journal, Terrain, The Rumpus and others. On an afternoon at the tail end of summer in Livingston, Montana, I’m in my backyard, killing chickens. As I work, I can hear another oil train lumber past, three blocks away. This is a railroad town, former headquarters of the Northern Pacific Railway, and we’re all so used to the sound of trains that we don’t notice much anymore. Except that for the past several years, the trains have increasingly been long strings of black tanker cars, bearing oil from the North Dakota fields to the ports on the Pacific coast. It’s the same oil that so many of my neighbours drove out to Standing Rock to protest, caravans of folks bearing all the blankets and knitted hats and 50 pound bags of rice that we could send. And yet, here we still are, train cars of oil rumbling through town, at the tail end of summer, skies hazy with the smoke of forests on fire from California all through the mountain west, our roads clogged with the huge RVs that have come out to visit Yellowstone park. All of which makes killing my hens feel especially apocalyptic. I’ve kept chickens for nine years now, and this is the third batch I’ve had to kill. I dread it every time, but my yard isn’t big enough to keep chickens who have stopped laying. I raised these hens from tiny chicks. I know them intimately. I’ve fed and watered them for three years, kept them dry and warm in the winter, dosed them when they got mites, have washed off their poopy butts when they’ve been poorly. In return they’ve made eggs and fertiliser for me, kept me company as I’ve gardened, and as the compost heap is in their coop, they’ve turned and turned and turned the compost. But a small town yard can’t handle nine birds, and so, these older ladies have to go. I’ve gotten good at it, and can dispatch a hen humanely and quickly, and although I’m not religious anymore, I do thank them and say a little prayer as I send them off to their next incarnation. Chicken shmaltz: golden fat rendered from my backyard birds. Perfect for all kinds of savory cooking, and especially for frying potatoes. And then I get to work at enacting the ancient solution to hens who no longer lay. 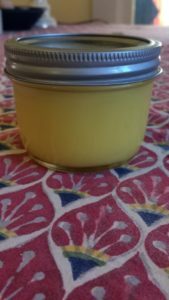 I pluck and gut and clean my four hens, saving the golden yellow fat pads for schmaltz, packing the carcasses in ziplock bags for the freezer. They’ll make delicious stock, my girls. After three years of organic feed and backyard grass, kitchen scraps and bugs, they’re nice solid birds, although I usually need to leave them in the freezer for a bit until I get past having known them. The decision to eat animals or not eat animals is a fraught one. I live in the middle of one of the most productive swathes of forest and pasture ecology in the world. This is still largely an agricultural area, and while these soils are not well suited for growing anything but grass, it is because they grow such terrific grass that we are surrounded by enormous herds of deer, elk and antelope (we’d have herds of bison as well, but for a hundred years of bitter political opposition from cattle ranchers). We can grow a few crops here, but primarily what our area produces is meat. I choose to eat meat because meat is what we produce here. Modern diets, including plant-based ones, are deeply embedded in an industrial food system I’ve spent my adult life working to avoid. I grew up in part on a corn and soybean farm in Illinois, and I’ve seen how dependent those crops are on heavy equipment and chemical inputs. I also know intimately the human cost in rising cancer rates, and the effects of soil erosion and depletion that industrial agriculture leaves behind. However, just as I don’t eat industrial food, I also don’t eat industrial meat. My decision to eat meat is deeply embedded in prioritising eating locally, which means that while I eat local game and meat, I also eat local veg from my garden and my fellow market farmers, bake bread with Montana wheat, and eat my fair share of organic lentils and peas grown a couple hundred miles north of me on in the grain and pulse fields of the northern part of the state. 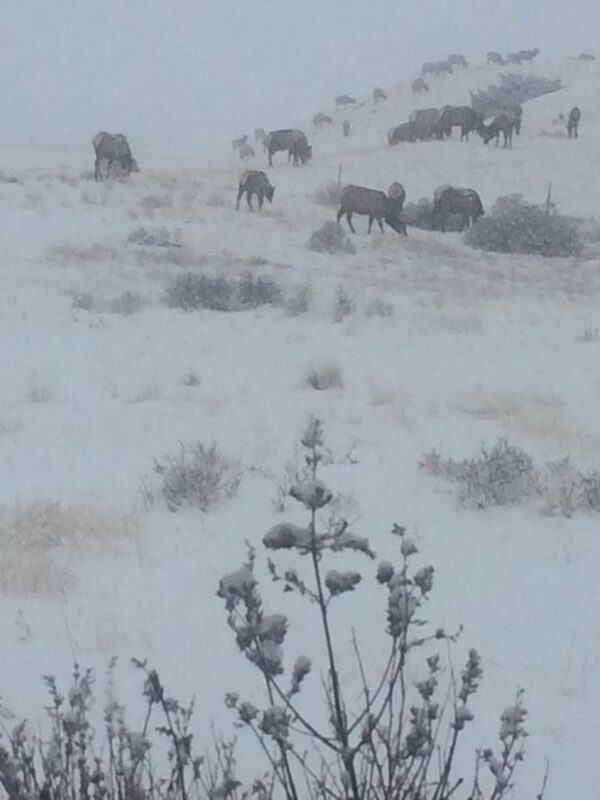 As I drive into the cabin on a snowy evening, the elk have already moved downhill out of the forest onto our rancher neighbour’s hayfield. I choose to eat meat because meat is what we produce here. Modern diets, including plant-based ones, are deeply embedded in an industrial food system I’ve spent my adult life working to avoid. My choice has been to eat where I live, and here we’re surrounded by small cattle ranches, and enormous herds of wild ungulates. My partner Chuck has a cabin south of town, and all winter we watch as the great Yellowstone elk herd streams through our yard and down the hill. They glean our neighbour Alvin’s alfalfa field, where for much of the winter, they graze right alongside his cattle. 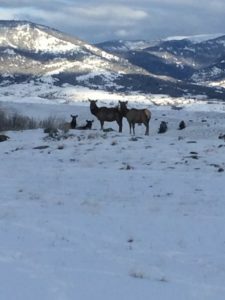 On a normal winter morning we might have 25 to 50 elk bedded in the yard, with another several hundred spread up and down the valley. As the day warms up, they stream up our driveway to move back onto the mountain where they bed down in the forest, then as evening falls, they come back down again, spend their nights in the hayfields below us. Tonight I’m cooking elk for dinner, a rectangular piece of elk shoulder that’s so dark red it’s nearly purple. Dan, a former sweetheart, sometimes brings me meat in the fall, as neither Chuck nor I hunt. I would hunt but I have terrible eyesight, and I’m a bad shot, while Chuck, doesn’t hunt because he didn’t grow up around it, and we have plenty of friends who hunt to provide us with meat. As non hunters, we still play a role in our local food economy. We’re the ones gifted in the fall with whatever is left in the freezers, as our hunter friends make room for their current harvest. 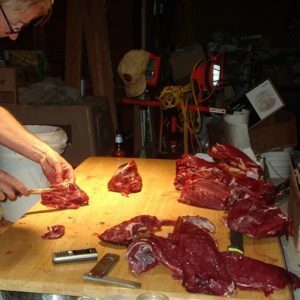 Dan butchering: Dan’s been home-butchering elk, deer and antelope for decades, and while his garage setup looks rustic, he’s an expert at safely packaging meat for the freezer, where it’ll get used all year long. Dan usually shows up on my porch sometime in December, with a couple of grocery bags heavy with packages wrapped in white butcher paper. Elk and venison and local domestic meat — oxtails last fall, and a lovely leg of lamb. It varies from year to year. The last year we were together, Dan put in for an antelope tag for me, and although by the time hunting season rolled around we’d broken up, he still took me out to shoot an antelope. They’re my favorite of our game animals, lean like lamb, or goat. We took one in an alfalfa field near town where he had permission to hunt. It was not romantic, we didn’t stalk an animal all day, we drove out and Dan sighted the gun across the hood of the pickup truck. Then I ducked up between his arms, looked through the scope and pulled the trigger (and managed not to give myself a black eye from the recoil). It was neither easy, nor traumatic, and I was mostly grateful the antelope went down right away. With my bad eyesight, I’d been afraid I’d just wound it. An antelope is small, so Dan and I together could field dress it, which we did in something of a hurry. There wasn’t a lot of ceremony, as a dead animal that you intend to eat in a warm autumn field is not something you want to tarry over. I thanked the animal in my own pagan way as we loaded it into the truck and we drove back to town, eager to hang the carcass and strip the hide to cool the meat so it wouldn’t spoil. Dan hung the carcass in his garage for a week or so, then I went over to help him butcher it. Everything got used. Meat in long muscles he stripped from the skeleton, carefully removing the silverskin before handing one and two pound hunks to me to wrap in plastic wrap, then freezer paper. Scraps went into a big bag, and later, our local butcher ground them for me, and those too got packaged up for winter. Unlike in the UK where hunting seems restricted mostly to the upper classes here in Montana and in many other parts of the rural US, it hunting for meat is for rural and poor people. The wealthy hunt for trophies. The men and women I know who hunt do so because they love getting out in the mountains during those six weeks every fall, because they love handing down the tradition to their kids and grandkids, but also because they can provide for their families through the fruits of their own hard work. A bull elk averages about 500 pounds on the hoof, while cows come in at about 350 or 400 pounds. Butchered and boned, that’s 150 to 200 pounds of meat, enough to feed a family for a year. Hunting is regulated by licensing here, and the difference between in-state and out-of-state tags reflects this cultural gulf. In state hunters tend to be hunting for the freezer, while out of state hunters are generally looking for trophies. My antelope tag cost me $19, but for a hunter coming from out of state, it would be $205. An elk tag is also $19 in state, but $530 for out-of-state hunters. 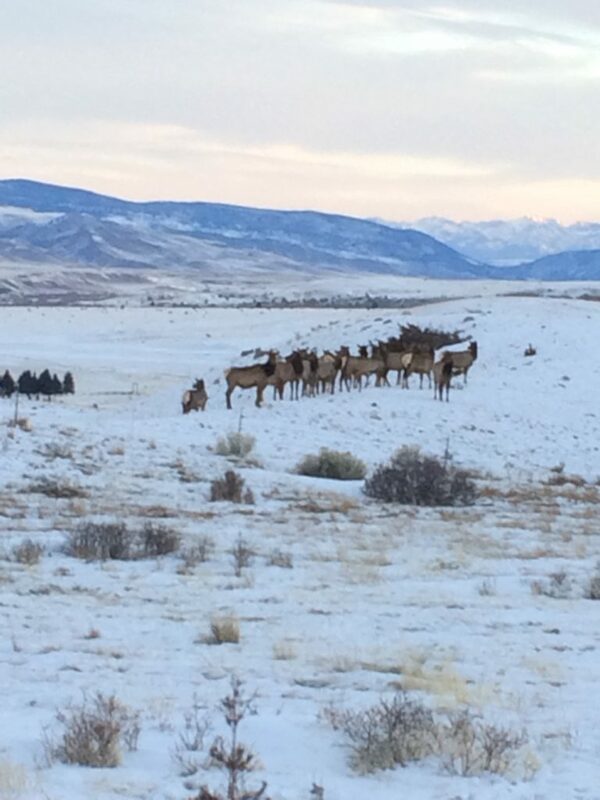 As a snowy January morning warms up, the elk begin moving back up out of the hayfield, preparing to cross our yard to head back up the mountain where they’ll bed in the forest during the daytime. After the last presidential election, many of us went into a panic, and started tallying whether we could survive up here on our own if we had to. We still have a functioning local food economy. Local ranchers provide much of the meat for our schools, senior center, and hospital. One night, when I was in a panic, thinking about selling up and moving back to the expensive but politically progressive West Coast, Chuck talked me off the ledge. If it got really bad, he said, he’d learn to hunt. We’d have meat. I have a huge vegetable garden. My friend Seabring, who with her husband owns the local hot springs resort said, ‘We’ve got the geothermal greenhouse. If we need to, we’ll just build some more of them.’ We tend to be a self-sufficient lot up here, and practices like canning and putting food up are less the purview of hipsters than they are of grandmothers and Hutterite colonies. Hunting wild game is not a solution to the global crises facing us. But if we’re looking at a world that where local communities are going to have to rely once again on one another and on local resources, then I think we’re in better shape than a lot of bigger or more trendy communities. 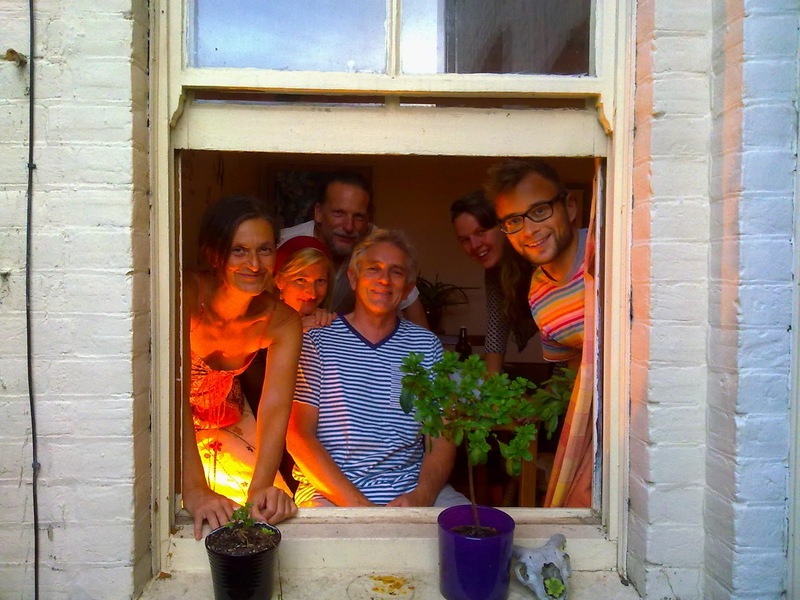 We live among people who have not lost their connection to raising crops and livestock, nor to handling and processing meat both wild and domestic. And all through town are backyard chicken coops, beehives, vegetable gardens and lots of fruit trees. And yet, three blocks from my house the tankers full of oil continue to roll past. Climate change is increasingly visible. Every year, we watch the mountainsides stained rust-brown as more and more trees fall to beetle kill. Our sparse rainfall, about 16 inches per year, grows ever more sparse. Summer temperatures routinely spike into the 100s and the hot weather stretches into late October. And every year, the forest fires grow more catastrophic, the water temperatures in the Yellowstone rise, killing the trout fishery upon which we depend. I can’t change those things, and my individual choices don’t have much impact on the global issues. But what I can do is participate fully in the food economy we’ve built here, and be grateful, as we were last Christmas, for the venison loin we all shared from the first deer that sixteen-year-old Isabelle killed with her dad. We were grateful to that deer, and to Isabelle, who not only killed and field dressed that animal, but who cooked a perfectly-done loin, a lovely piece of meat we sliced thin, and handed around that room in which we have gathered, year after year now, to celebrate our friendship and love, and our gratitude that we are lucky enough to live in such a beautiful and fruitful place. Slice the raw antelope loin as thin as you possibly can. This is best achieved when the meat is in a near-frozen state. Arrange the thin slices of antelope on a platter. Mince one to two shallots very finely, and strew across the antelope. Sprinkle it with capers, and coarse salt. Drizzle with the best olive oil you have, and serve with lemon wedges. Slice the elk into thin strips, as you would for a stir fry. Salt and pepper the meat, and toss it in flour to coat. I use a cast iron pan, but any heavy sauté pan will do. On medium-high heat, using the oil of your choice (or butter), sauté the meat until golden. Put the meat aside and add the chopped onion and mushrooms to the pan, with more butter or oil if needed. What you want to do is both deglaze the pan using the moisture from the vegetables, and begin making a light roux from the leftover meat and flour residue. When your onions turn translucent, add the garlic and tomato paste. Fry the tomato paste for a few moments until it loses its bright red colour, then add the meat back into the pan. Add a nice slug of sherry to deglaze the pan, then add the broth along with the Worcestershire or fish sauce. Scrape up all the lovely caramelized bits on the bottom of the pan and simmer for about 20 minutes. Timing is variable depending on the age and tenderness of your elk. When the meat seems cooked through to your liking, add the sour cream and stir to make a creamy sauce. Do not let the sauce boil after adding the sour cream, or it will break. Serve over buttered egg noodles or potatoes, garnished with the chopped parsley. 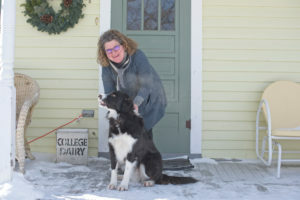 The author of the novel Place Last Seen, Charlotte Freeman makes her home in Livingston, Montana. A graduate of the University of Utah creative writing PhD program, she teaches at Montana State University. 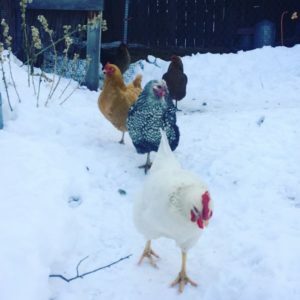 During the short Montana summers, she gardens and raises hens and is learning to put up as much of her own food as possible. Charlotte’s article is a brave, clear and humane piece of writing, and I applaud her for it. It seems to me that if we are to eat meat, how much better it is to be involved in the rearing and killing process oneself, taking responsibility; and better still when it’s wildkill. My daughter, until her early 30s a lifelong vegetarian, then moved to a smallholding and was prepared to be involved in killing the animals they reared, and also to eat fresh roadkill. Although I’ve been veggie for 40+ years, and vegan for the last 6 or 7, I admired her. These are courageous and authentic decisions, so far removed from most people’s experience of eating factory-meat. I also hear that for Charlotte, this decision makes sense, given that where she lives. As she says, ‘to meat or not to meat’ is a fraught conversation, potentially. I don’t want to sow divisiveness; I believe that we need to listen to each other and work together to change things for the greater good. I do, though, want to raise a couple of points – not about wildkill and Charlotte’s own practice, but about the principle of farming animals to eat. The thing is, we could feed between 10 and 13 times more people globally on a plant-based diet than we can on a meat-based one, and without the major issues of climate-change, environmental degradation, pollution, soil erosion, land and water use, and of course animal suffering on a massive scale, that come with meat-farming. This has to be taken into account (not getting at Charlotte; just making a general point that it becomes harder and harder to justify a diet rooted primarily in meat on any kind of scale). Personally, I feel strongly about minimising suffering to others, human and other-than, when it can be avoided, which is more often than we tend to think, so I’ve chosen plant-based – without industrial-scale production involved in what I eat. As regards the ‘local’ issue, here in southwest England we (my partner and I) are feeding ourselves almost entirely from our own crops, including vegan protein like beans (and some nuts), supplemented by locally-grown organic food. What we can’t grow we can source locally (within five miles – apart from bananas and tea/coffee, which we do still buy). In other words, it can be done. So it’s simply not an inevitability in relation to plant-based nutrition that most ‘modern diets, including plant-based ones, are deeply embedded in an industrial food system’. Most plant-based diets that I’m aware of generally include a very high percentage of actual fresh (or frozen, or dried) plants, with a move in America and Europe towards more organic means of plant production than has been the case for decades. 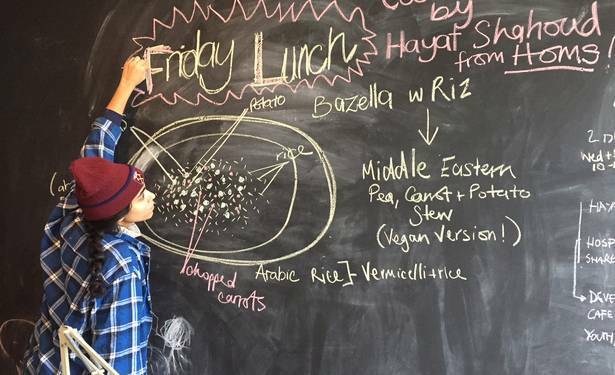 If, however, Charlotte means food miles are involved, that can of course be the case for either type of diet, and we’re lucky again in my area that there is a very strong movement for local foods. So I’d say that the ‘industrial food system’ with its pesticides, herbicides, antibiotics, growth promoters, hormones, chemicals, colourants, and other additives to processed animal feed and to meat products on a vast scale is truer of the meat industry. I agree with Charlotte’s strategy of eating in a way that reflects the exigencies of her locale and her philosophy of reverence for the world around her. I also respect her for killing her own hand raised animals. I live in northern Minnesota and eat a plant-based diet, and I’m sure a lot of what I buy comes from the industrial ag complex she mentions in her post. Clearly, I’m not necessarily virtuous in my food choices. Figuring out what is the most ethical way to eat is indeed, as she makes clear, something that needs to be worked out on a local level. She has put it in my mind now to try to start a study group to determine how to best eat for this region. 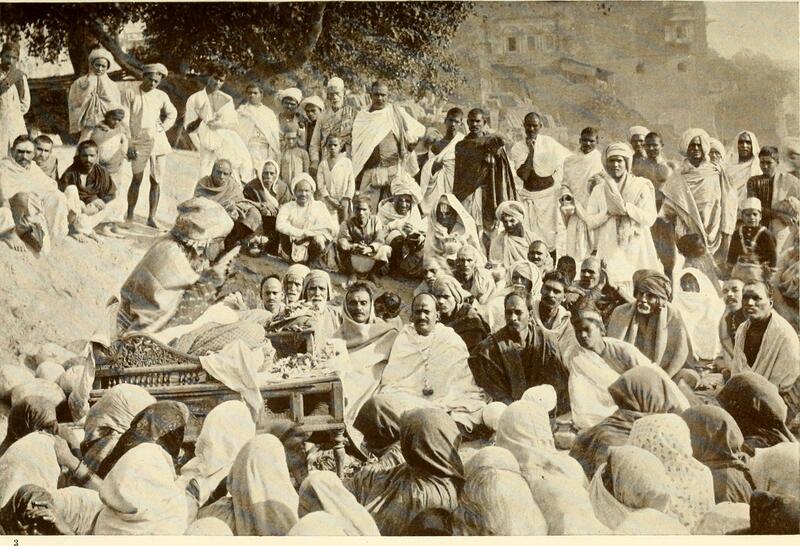 Introducing our new experiment to support local gatherings organised by Dark Mountain readers.